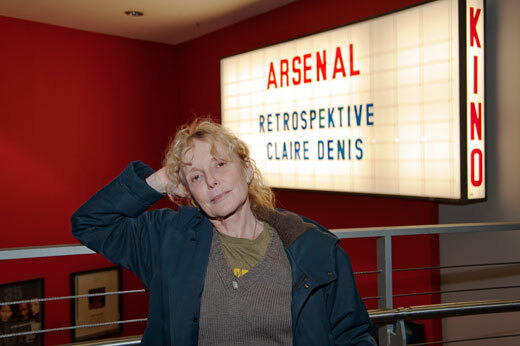 Four films by Claire Denis will be shown before her arrival on campus, where she will screen her 2009 film and participate in a Creativity Conversation. Photo © Claire Denis © Marian Stefanowski. Acclaimed French director Claire Denis, a key figure in world cinema, will be on campus Nov. 14 and 15. On Nov. 14 at 7:30 p.m., Denis will introduce a screening of her latest film, "White Material" (2009) and on Nov. 15 at 6 p.m., she will be the focus of a Creativity Conversation. Both events will be in White Hall 208. Preceding her visit, four of her most critically acclaimed films will be screened at Emory, beginning on Nov. 2. "Claire Denis is one of the most highly acclaimed filmmakers working today, in France or in any other country," says Matthew Bernstein, chair of Film and Media Studies. "Ms. Denis is making only three stops on her visit to the U.S., and we are fortunate to be one of them." After working as an assistant director to Jim Jarmusch and Wim Wenders among others, Denis made her directing debut in 1988 with "Chocolat" — a film about a French girl growing up in a colonial outpost in Africa. Since then, Denis has become known for her fearless exploration of a wide range of contemporary subjects and often extreme human situations; her films are informed by her own experiences of displacement during her childhood in Africa and her return to France as a teenager. Most of all, her films reflect a deep awareness of the complexities of French post-colonialism as played out in the lives of "ordinary" people. Denis' films show characters too often absent from mainstream cinema such as exiles, immigrants, or people living at the margins of the society. She has said, "We are always trying and failing to understand the world and ourselves. We never really know the final meaning of our life. Literature and the cinema should reflect that." Denis' visit is hosted by Emory's Department of Film and Media Studies and the Department of French and Italian, in partnership with the Cultural Services of the French Embassy, the Institut Français and Unifrance. Co-sponsors of this program are Emory's program in African Studies, the Fox Center for Humanistic Inquiry, the Hightower Fund, and the departments of African American Studies, Comparative Literature, English, History, Theater Studies and Women/Gender/Sexuality Studies. "We have been able to marshal support from so many departments because she is an internationally celebrated artist whose work touches many fields and disciplines — not just French culture and film studies, but also colonialism, theater, literature, African studies, and women and gender studies," says Catherine Dana, senior lecturer of French and Italian. "It is a testament to how rich and rewarding her work is." Four major films will be screened at Emory leading up to Denis' visit. Screenings are shown in 35mm (except where noted) and will be introduced by Emory faculty. All screenings are free and will be shown at 7:30 p.m. in White Hall 205. For more details, visit french.emory.edu/news/.